This is a simple process-driven art that creates beautiful patterns. 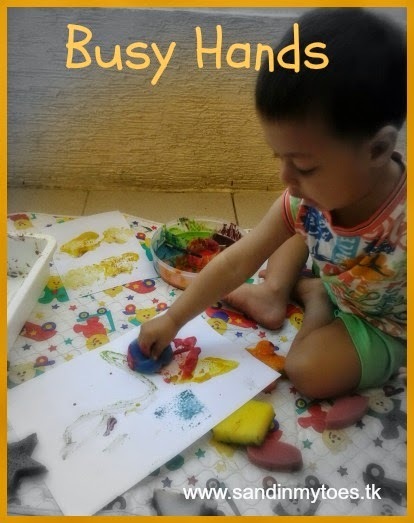 It can be done by kids of all ages, but preschoolers may find it particularly appealing since they have the skills to do it themselves. 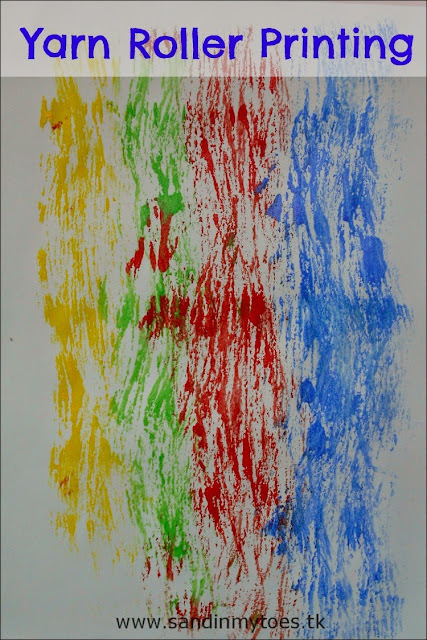 The technique is similar to what we did with our Cardboard Tube Printmaking activity, which was fun too! 1. 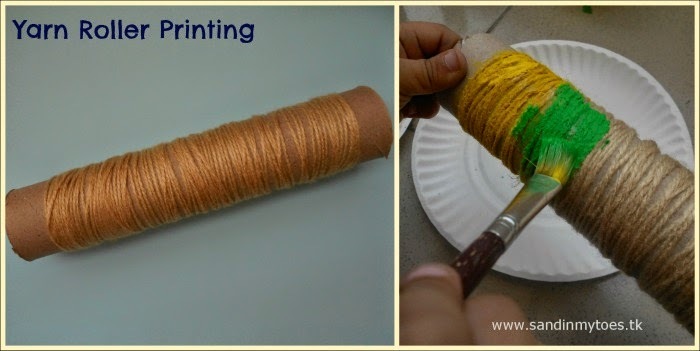 Wrap synthetic yarn/wool around a cardboard tube. You'll need one at least as big as a kitchen paper towel roll. I think synthetic yarn works better because it won't absorb too much of the paint as real wool would. 2. Wrap it around the tube, leaving space at both ends to hold it. Your child may need help wrapping it tightly in the beginning. In the end, simply tuck it in. 3. Use a brush to paint different colours on the yarn-wrapped tube. 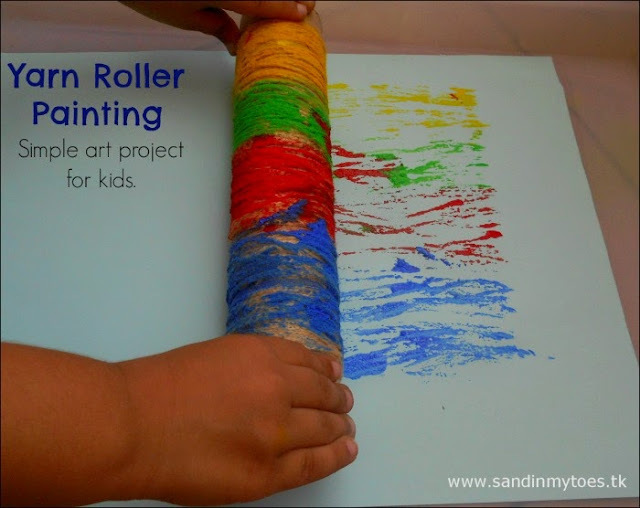 You can also put paint in a tray and roll the tube in it, for a single colour. 4. 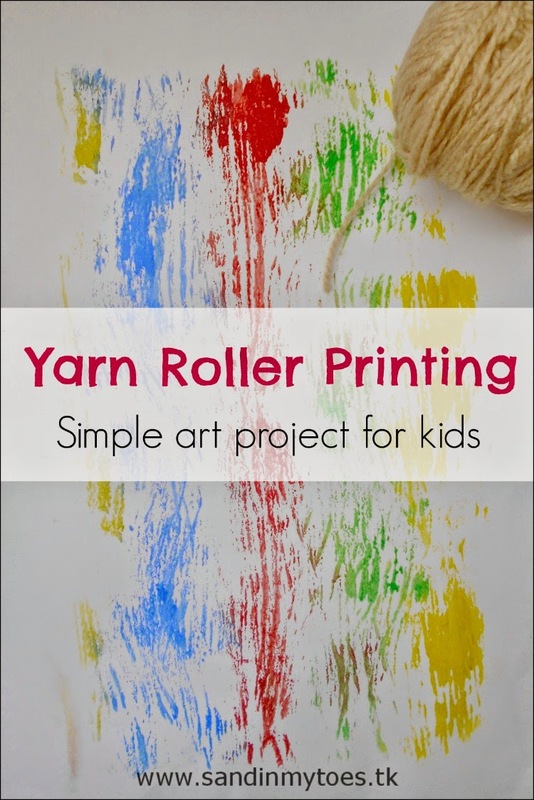 Hold tightly with both hands and push down slightly while rolling on paper to make the prints. I love how the print came out! You can use the artwork to make greeting cards, canvas art for the wall, or wrapping paper. Great idea. I would love to make some wrapping paper like that, pretty rainbow. Nice one! you can frame this one.